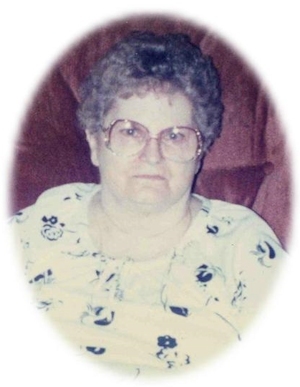 Obituary – Hasenfratz, Wilma Sota (Winsworth) « Perry High School Alumni Association, Inc.
Wilma Sota Hasenfratz, 85, of Perry, Oklahoma, was the daughter of Clyde W. and Minnie Sota Sprouls Winsworth. She was born on July 21, 1923 in Tulsa, Oklahoma and died Friday, May 15, 2009 at the Perry Memorial Hospital. On August 30, 1942, Wilma married Carl C. Hasenfratz in the St. Rose of Lima Catholic Church in Perry, Oklahoma. Wilma was a member of the First Baptist Church. She obtained her LPN license while training at the Blackwell Hospital. Wilma worked at the Perry Memorial Hospital, Green Valley Nursing Home and Perry Nursing Home. She also taught school at Lone Elm and New Hope. Graveside services will be 10:00 a.m. Monday, May 18, 2009 at St. Rose of Lima Catholic Cemetery. Brother Aaron Summers will officiate. Services are under the direction of Brown-Dugger Funeral Home. Memorials may be made to the First Baptist Church in care of Brown-Dugger Funeral Home, 1010 N. 7th Street, Perry, Oklahoma 73077. Wilma is survived by one daughter, Carol Ann Hasenfratz of Perry, Oklahoma. She was preceded in death by her husband, her parents and one brother.